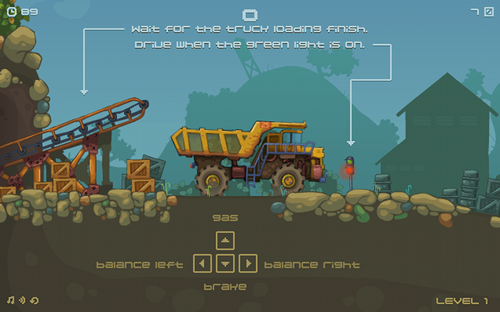 Description Mining Truck is a fun game in witch you are playing the role of a truck driver, your aim is to collect the stones from one side deliver them to the other side to the factory along a trick challenging road. but on the way make sure not to drop your the load. the fuller truck is delivers more the points. This game is fun and addicting so get your self behind that wheel and see if you can handle the pressure.